Mark Suminski opened up the invitational portion of his 2019 outdoor season in a big way this past weekend. 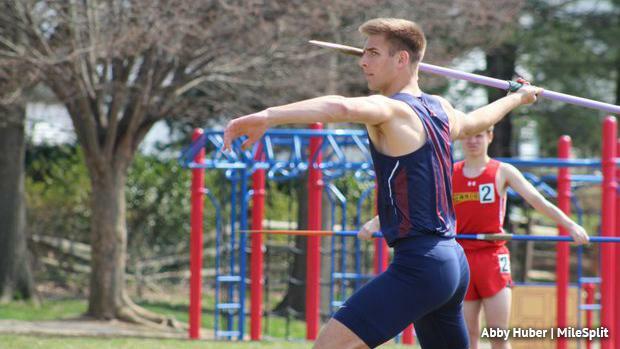 The Hershey senior threw 190-2 in the javelin to take the win at the Pennsylvania Track Classic at Plymouth-Whitemarsh. That topped his previous career best of 187-4, set at last summer's American JavFest. Suminski took over that state lead with that toss, as well. Suminski took the win in a good competition with Wyomissing sophomore Evan Niedrowski, who threw 180-9 for second, which is also a PR for the up-and-comer. "It felt really good," Suminski said of an early season PR. "Now it's just a matter of keeping my training up and continuing to work on speed work and strength." Suminski noted the school record at Hershey is 199-11, so he says that 200 feet is certainly chief among his goals this season. So what's the key? : "Consistency. Just sticking with what I've learned over the winter."